Projected Capacitive Touch Controllers | Salt International Corp.
PenMount PCAP controllers utilizes microcontrollers (MCU) from world renowned Microchip as a development foundation and incorporates PenMount’s specialized algorithm, powerful P2 series ICs, unique and convenient utilities, and driver support. 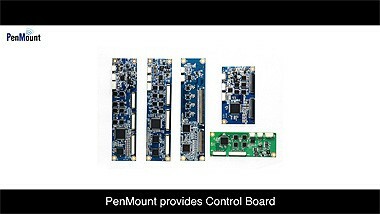 Different PenMount PCAP controllers can be paired with and support a certain range of PCAP sensor sizes, use the control board (C/B) and COF designs, and can support I²C, UART, RS-232, and USB interfaces according to application fields. EMC standards (CS, RS, and EMI) conformation, water handling, thick glass, and gloved operation are also part of our technical expertise which provides customers with a stable, smooth, and unimpeded operating experience. PenMount supports PCAP structures (GFFF, GFF, GF, G1, GG, etc.) and materials (film, metal mesh, glass, etc.) prevalent in the market. Since the human body is a conductor, when a finger approaches an electrode, the capacitance between the finger and the electrode will change. 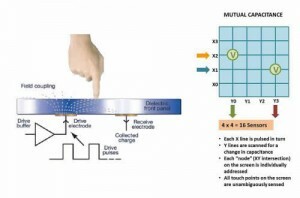 By detecting the change in electrostatic capacitance in the XY axes, touch point locations can be determined. PCAP touch principle operation does not require pressure on the touch surface to detect changes in capacitance. 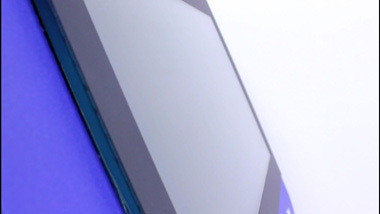 In addition, the surface of a PCAP touch panel is glass. Glass is scratch resistant, durable, and environmentally resistant. The actuation principle of a PCAP touch panel begins with two layers of ITO beneath a glass surface which form separate X axis and Y axis electric fields. The electric fields extend beyond the glass surface and maintain a field balance. 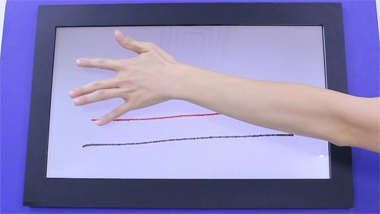 Once a finger nears the glass surface, it forms new electric fields with X axis or Y axis electrodes, partially changing capacitance. The controller determines touch location according to capacitance changes. 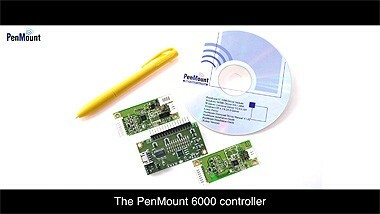 PenMount PCAP touch controller design can be divided into two major categories. Different control boards can support AMT PCAP touch panels in different size ranges. The analog touch signal connects to the control board through FPC and is converted by the controller IC into touch position data. The serial interface connector (i.e. USB, UART, I2C RS0232, etc.) on the PCB transfers this data to the host computer. Controller IC separate from touch panel for higher design and integration flexibility. Faster validation for small batches and lower costs. Stronger noise handling capability and less susceptible to interference from other components. However, attention should be paid to FPC length ad position to prevent external noise from interfering with the weak analog touch signal. 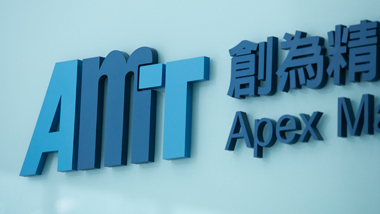 In terms of the noise interference issue, the PenMount PM1310 , PM1410, and 1710 have obtained EMC Level III certification through testing according to the following standards. The PenMount PM1310 , PM1410, and 1710 utilize consummate hardware design paired with firmware equipped with a next-gen Frequency Hopping algorithm to effectively reduce the chances of noise interference and clearly enhance the controller’s anti-noise capabilities. In addition, PenMount PCAP controllers also support gloved operation. There are many types of gloves and they possess different characteristics (dielectric constants). PenMount PCAP controllers have experimented with common glove types (i.e. rubber cleaning gloves, industrial cotton gloves, medial latex gloves, etc.) to ensure normal gloved PCAP touch panel operation. Controller IC integrated with touch panel. Space designed in the mechanism can be smaller. Less signal wires after conversion to digital signal so FPC can be designed into various long or curved shapes. Easier to install in small products. Does not require connector or cable between touch panel and system interface. 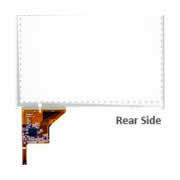 COF touch panel design is suitable for products designed to be thin and light (i.e. portable products with limited system space) and best paired with low noise LCD modules. If you have custom COF needs, please contact us. Copyright ©2019 Salt International Corp. All rights reserved.